Super Bowl LIII wasn’t the most exciting game. But at least the CBS telecast offered several big-time movie commercials filled with intrigue. Jordan Peele’s “Us” has a unique premise. But Peele’s script and vision need to come together and make sense in order for audiences to give it a chance. Universal will release this on March 22nd. Tickets are already on sale. Robert Rodriguez and James Cameron’s “Alita: Battle Angel” opens in just a week. It’s also about to be Oscar voting time. Will negative reviews impact star Mahershala Ali’s chances at taking home a second Academy Award? “Wonder Park” has a great concept: it’s an animated movie about a theme park. The hope is that it doesn’t turn out to be quite so goofy and specifically geared for youngsters. We’ll find out on March 15th. For many, “Avengers: Endgame” is easily the most anticipated movie of 2019. Can it top “Infinity War”? That’s the big question. Disney and Marvel will open it on April 26th. 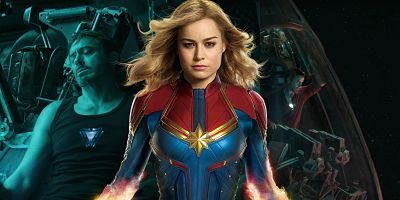 But before then (specifically on March 8th), the studios are set to let Brie Larson’s “Captain Marvel” shine. Samuel L. Jackson, Jude Law, and reportedly a scene-stealing cat round out the ensemble. The one that’s got me pumped the most (well… besides the last feature on this list) is “Hobbs & Shaw”. The “Fast & Furious” spinoff with Dwayne Johnson, Jason Statham, Vanessa Kirby and a villainous Idris Elba could be the live-action event of the summer. We just have to wait until August 2nd. If a pimple on your face starts moving… that is a horrifying nightmare. “Scary Stories to Tell in the Dark” opens in August. 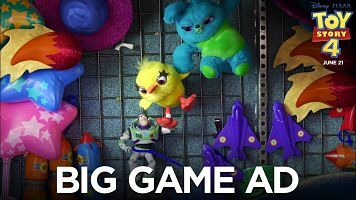 This 30-second spot for “Toy Story 4” put a smile on my face. Ducky & Bunny (voiced by Key & Peele) are terrific!